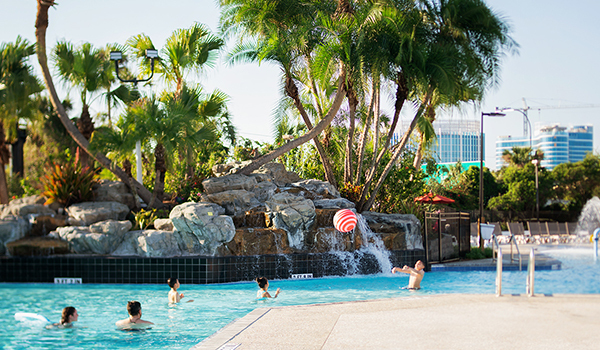 Enjoy stunning views of Volcano Bay as you soak up the sun at our expansive pool and sundeck. Link to Sparkling Outdoor Pool Enjoy stunning views of Volcano Bay as you soak up the sun at our expansive pool and sundeck. Located in the city's vibrant heart, Avanti Palms Resort & Conference Center is close to everything, and perfect for business and leisure travelers. Link to Located on the Famed I-Drive Located in the city's vibrant heart, Avanti Palms Resort & Conference Center is close to everything, and perfect for business and leisure travelers. As a Universal Partner Hotel, we will bring you to the action for all the thrills you can handle at a value you will love. Link to Universal Partner Hotel As a Universal Partner Hotel, we will bring you to the action for all the thrills you can handle at a value you will love. Step inside one of the finest resorts in Orlando. After a brand-new revamp and months of preparation, you're invited to spend a relaxing stay at our state-of-art property, featuring wonderful dining, an outdoor pool complex, and 24-hour fitness center. Featuring magical views of the Orlando skyline, our sophisticated guestrooms and suites offer all the amenities and comforts of home. Enjoy room service, poolside access, and a variety of onsite dining options during your stay. Bring your small dog, because we're pet-friendly too. Our wonderful amenities are tailored to leisure and business travelers alike. Dine al fresco at our gourmet restaurants, swim laps in the pool, or hold a spectacular event with help from our expert planners and 24-hour business center. Jump aboard our hotel shuttle for a complimentary ride to Orlando's best attractions. Next door to Universal Orlando™, Avanti Palms Resort is minutes from Walt Disney World®, Orlando Premium Outlets, and SeaWorld®. The acclaimed staff of Avanti Palms Resort and Conference Center is committed to offering world-class hospitality. Our resort will exceed your expectations and provide a memorable, positive stay both for leisure and business travelers. Let us know how we can improve your holiday in sunny Orlando. Stay, play and save on your Orlando vacation at Avanti Palms! When you book direct with us, you are guaranteed to get our lowest rate with 20% off the standard rate and breakfast for 2 each day of your stay. Plus all of the amenities you would expect from a premier Orlando resort. Book today!